As a soldier in the U.S. Army towards the end of World War II, George Jaeger, who was part of V Corps’s four-man war crimes team, happened upon the town of Hadamar, located between Frankfurt am Main and Cologne. Hadamar has since become notorious as the site of a top-secret extermination site involved in the sterilization and extermination of the handicapped and mentally ill in Nazi Germany. 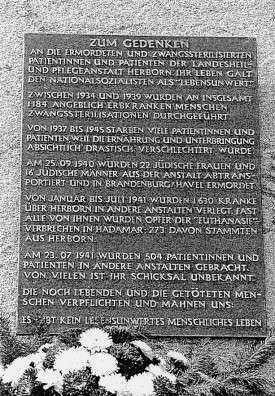 The Hadamar Euthanasia Centre was one of the six sites carrying out Action T4 resulting in the mass murder of those deemed “undesirable” by the Nazis. The program claimed 70,000 victims in its two years of operation from 1939 to 1941. Although the program was officially concluded in 1941, operations and practices of physicians went underground. Killings still went on during this covert phase where additional estimates of 200,000 people were killed in all the Action T4 facilities. Under the Action T4 program, the development of the use of lethal gas to perform mass murders occurred. These techniques were later implemented for mobile death vans and extermination camps. Following World War II, Hadamar fell within the American occupation zone. In October 1945, Americans conducted the Hadamar Trial, which was the first mass atrocity trial after the end of World War II. 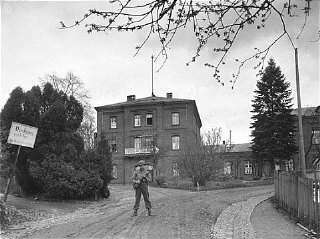 Jaeger and the V Corps later went to Flossenbürg concentration camp, which was used for, among others, political opponents. In a gripping account which is often difficult to read, Jaeger describes the horrific scenes he and his colleagues discovered and the emotional stress he experienced. You can also read Jaeger’s accounts of the Kindertransport, which allowed him to leave Vienna and spend time at a landed estate in England, and how a Nazi Panzer division surrendered to him while he was out riding his bike near Pilsen. Go here to read about how a former dentist turned U.S. diplomat helped with the forensic identification of Josef Mengele, the Angel of Death, as well as other Moments dealing with WWII. JAEGER: One day a group of us was billeted in a Belgian barn waiting for orders. We were all lying on piles of straw in our combat gear, talking and playing cards, when a most improbable apparition appeared, a Second Lieutenant in creased pink pants and a pressed shirt from Fifth Corps Headquarters, who announced that he was looking for a Private Jaeger! I had, as it turned out, been reassigned to the Fifth Corps War Crimes Unit, where I was to be the new German interpreter, because my predecessor had, unfortunately, just stepped on a land mine! So, leaving the spiky base plate of my 81-mm mortar without regrets, I found myself the junior member of V [Fifth] Corp’s four-man war crimes team, a clearly more interesting task. Led by a good-natured, lanky major, our team consisted of a less-than-brilliant master sergeant who did our admin work, a driver and myself. Following closely behind the front lines we moved up to and beyond the Rhine which we crossed over the pontoon bridge, which had been erected at Remagen after the Ludendorff bridge collapsed. Our script was a secret compendium of wanted German war criminals compiled in Washington, as well as occasional fresh reports from the 5th Corps intelligence people. Although the situation was still chaotic, we diligently followed up as many leads as possible, often driving for hours over rutted or bombed out roads. 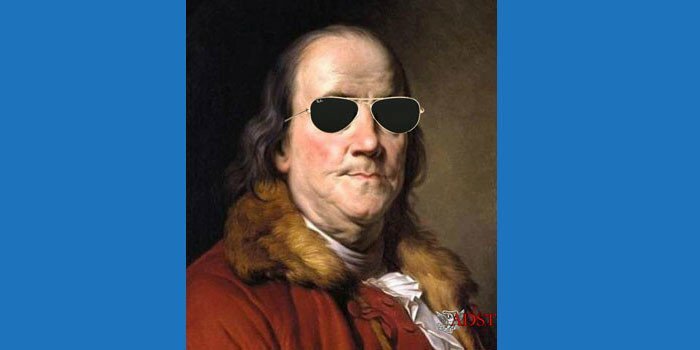 Predictably, we didn’t have much success, since our intelligence was often wrong, incomplete or, most frequently, the bird had flown. Still, driving around Germany in springtime, unencumbered by routine and discipline, was not heavy duty — even though we were surrounded by destruction, misery and the swelling streams of refugees. We did, eventually, have one major success. It happened on a particularly nice Sunday in late March 1945, shortly after we had crossed the Rhine, when my Major, planning to enjoy the day, asked me to use my language skills to “liberate” some cigars for him in a town called Hadamar. Outside the cigar store an odd-looking man sidled up to me, chewing on his dirty tie, and said, in a low voice and in broken English, that he was a French intelligence officer who had been caught up in a German sweep. He had survived by pretending to be insane and, as a result, he was now a trustee inmate in the insane asylum just outside of Hadamar. The point he wanted to get across to me was that this institution was actually being used as cover for one of Hitler’s extermination camps in which tens of thousands of people had been killed! I must come and see for myself! I went along with him on a cautious reconnaissance, during which he showed me ovens which had been used to dispose of bodies and other evidence that the asylum was in fact what he had claimed. I instantly called my unit for help. Within a short time a nearby American infantry company quietly surrounded the place, and we succeeded in capturing the entire staff who, hard to believe in retrospect, had relied on the credibility of their insane asylum cover to protect them from being discovered. Our team then began systematic interrogation. 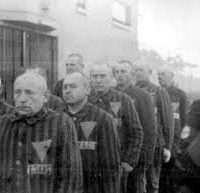 The bottom line was that Hadamar was indeed an extermination camp where, over several years, the Germans had murdered at least 15,000 people. The first wave of killings, after 1941, involved gassing over 10,000 mentally or physically handicapped Germans in a basement. They were then burnt in the crematorium. The second wave, after 1942, involved the murder and disposition of at least 5000 more, some euthanasia victims, most Eastern European and Russian male and female slave laborers who had been sent there when they became too exhausted or sick to work in Nazi war production plants in the Ruhr, around Cologne and elsewhere. The victims arrived in trucks once or twice a week, usually at night, having been told that they were going to a hospital for rest and treatment. 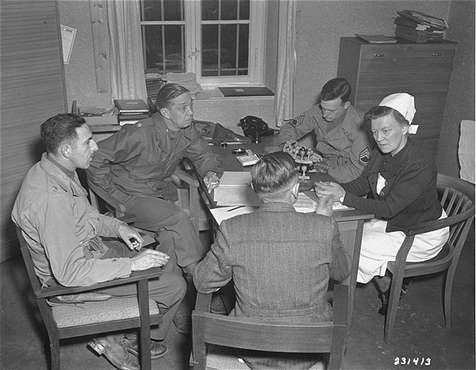 They were then actually put into nice, clean beds in a tidy ward, where the chief nurse, Irmgard Huber [at right, being interrogated by U.S. soldiers], a motherly, pink-cheeked woman, whom I interrogated at great length, would give them a heavy injection of scopolamine which killed them in two hours. In the early stage the bodies were burned, a practice which was stopped when the townspeople began complaining of the stench. Then, to conceal the number of people killed regularly at Hadamar, they had the insane patients, who were retained as cover, dig deep graves in the asylum cemetery, in effect small mine shafts often a hundred feet deep, and simply stacked the bodies in them. We found some still open, full of people recently killed, which had not yet been topped off with soil and a little cross. The staff’s defense was that they were only following the asylum doctors’ orders. The doctor, in turn, pointed the finger at the Director. The actual boss, we learned, was an obscure-looking administrative assistant, Alfons Klein, who, it turned out, was the Gestapo agent in charge. We found a pass to Hitler’s chancellery in his belongings, with a notation that he was not to be questioned by anyone. We also found and blew open two safes in the cemetery shed where we found complete hand-written records, kept with mind-numbing German tidiness, of the names of all who died there- – most with a notation that they had died of TB! Hadamar, it was later established, was only one of a top-secret system of six similar extermination sites across wartime Nazi Germany, code-named T-4, after the address Tiergartenstrasse 4 in Berlin, part of Hitler’s Reichskanzlei [Reich chancellery], where the program was administered. The others were Brandenburg, Grafeneck, Hartheim, Sonnenstein and Bernberg. All together 200,000 – 250,000 political prisoners, retarded people, exhausted, mostly Slav slave laborers, and 722 half-Jewish children from Vienna [where Jaeger, also half-Jewish, was born] were similarly disposed of, some of the last-named’s brains pickled and preserved for racial research. 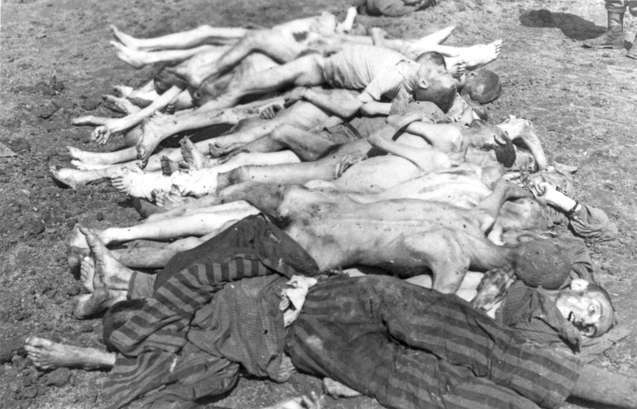 Even so, I discovered at Hadamar, Jews were not the only victims of Hitler’s Germany…. Our next move, we thought, would be the last sprint to Berlin, a victory lap which, to our great disappointment, was not to be! I always thought that this loss of nerve, and the subsequent failure to take Prague, were Eisenhower’s two greatest mistakes — setting the stage for many of our post-war problems with the Soviets…. In the meantime, the capture of hundreds of thousands of German troops, for which we were logistically unprepared, created major headaches for us and serious hardship for them, including unnecessary deaths which led to subsequent accusations of Allied human rights abuse. I got a graphic lesson in all this when, I was abruptly told one day to “take temporary charge” of a POW enclosure about ten miles to our north, holding over 10,000 Germans! What I found was an ocean of makeshift tents and lean-tos, with thousands of POWs simply lying on the ground, untended wounded, no medical supplies, inadequate latrines and minimal food rations. I asked who their senior officer was. It turned out to be a stiff German General out of central casting, who stood ramrod straight before his little tent in polished boots and full regalia! We — I think I was still a Private First Class at the time — had a short and rather difficult conversation, in which I told him I would do my best to help. I tried. But we moved on the next day and relief probably came too late for many there. On the way, our team uncovered more bad stuff, particularly in Kassel, where I remember investigating a jail where one prisoner’s torture consisted of deliberately covering him with lice. It was simply awful. Q: Did you get to any concentration camps? JAEGER: Yes, just before we got to the Czech border in Bavaria we were diverted to help open Flossenbürg, which had been liberated on April 23, 1944. It was a bizarre and terrible scene. As we arrived, the place was already swarming with dozens of Army brass, news people, investigators from all levels of command, and ordinary GIs. Streaming towards us were crowds of skeleton-like inmates in their famous zebra suits, holding out hands, welcoming us or simply holding on, too weak to stand or walk. Beyond them, near the prisoner’s huts were six-foot high stacks of corpses, piled naked, men and women of all types and ages. Although our team was outranked and had no real role, we went into some of the long huts with their rows of quadruple-decker wooden bunks, each shared by two or three starved and emaciated, sometimes demented prisoners, who welcomed us as best they could. It was clear that, liberation or no, for most of them it was too late. My sharpest memory is of the distinctive acrid smell of death, of unwashed bodies and despair. We heard terrible stories. Of the backbreaking labor in the quarry pits, of the crematorium into which corpses slid down a long, mechanized incline, their number often exceeding its capacity. If so, they were stacked up or burnt outdoors. I heard that the SS made soap of the dead prisoners’ bodies, and of the last-minute killings of many, just before the first GIs arrived. I later learned that over 10,000 were taken on a deliberate death march to the south, just days before we arrived. 7000 are said to have died en route. 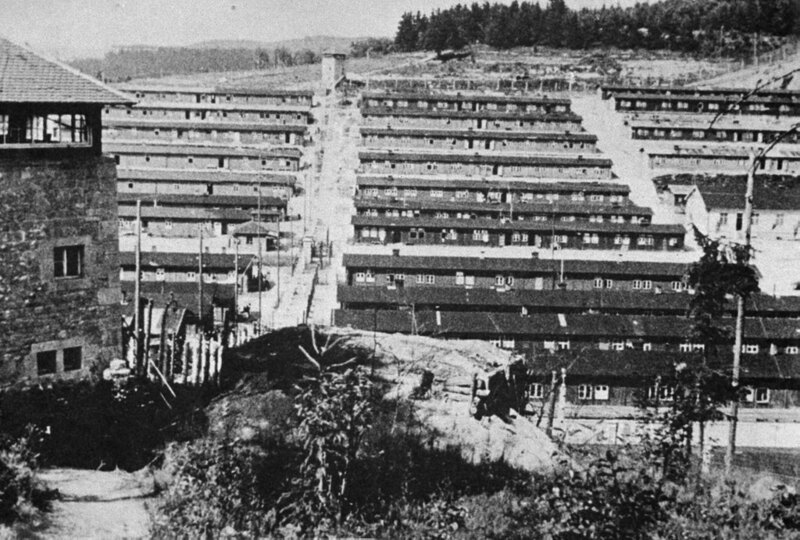 Investigations and trials later established that probably many more than the officially estimated 100,000 Czechs, Poles, Russians, Jews, ”intellectuals,” “deviants,” criminals and others on the Nazi hit list, were sent to Flossenbürg and its sub-camps from over thirty nations, since it was opened in 1938. Of these, at the very least a third, and probably many more, were murdered or succumbed to mistreatment, illness and overwork in the quarries and war production plants run by Messerschmitt, Flick, Siemens, Osram, Junkers and others. Interestingly, there are some accounts of limited inmate resistance, albeit mostly from former East German Communist sources. Flossenbürg was also the home of “special political inmates,” housed separately from the ordinary prisoners, including Austria’s last Chancellor, Kurt von Schuschnigg, French Prime Minister Leon Blum, Pastor Martin Niemoeller and others. And it was the place of execution of major German resistance figures, including Dietrich Bonhoeffer, Admiral Canaris and General Oster. Of all these people we were able to liberate only 1,527 in the main camp, and many of them did not survive. Q: How on earth did you react to this experience? JAEGER: I have often thought about this. The situation we found confirmed everything we already knew but surpassed it in its banal concreteness. I saw the corpses, the hundreds of living skeletons, talked to some, understood the immense evil which had been perpetrated there, knew this was an historic turning point, and shared in the intense feeling that this must never happen again, that they must not have suffered and died entirely in vain. What I actually did — as generals, newspaper photographers, GIs of all sorts and ranks, and many others milled around in this nightmare — was to sit down in the light spring sunshine, not far from a pile of naked corpses. I pulled out my K rations, ate my lunch, because it was time and I was hungry, and said a deep silent prayer for all of them. In later years I often thought that, in a way, I was no better than the Germans, that I should have cried, shown my grief, told everyone that I too had relatives who had died the same macabre deaths in Mauthausen, Theresienstadt, Dachau and Auschwitz, done something memorable for someone there. The fact was, that none of us could handle it and so we just didn’t talk much, went on in our jeeps next day, were secretly glad to be living and doing our jobs. Although farther down there was a deep, glowering anger and moral outrage at all we had seen there and elsewhere over the last months. In my case, it broke through on several occasions: Once when I was billeted in a specially comfortable upper-middle class German house, undoubtedly belonging to well-to-do Nazis, I got massively drunk and then, single-handedly and systematically, smashed and broke every bit of furniture, glassware, bric-a-brac and what-have-you in the entire house. My major gave me a bit of a talking-to, but clearly understood. In one of the Hadamar interrogations, I also got close to the line when one of the prisoners who had participated in the killing of many inmates taunted me and told me that he was proud of what he had done and to have been a Nazi. I had a terrible impulse to shoot him on the spot. Mercifully, I reined it in and didn’t. Even so, these experiences have remained etched in my mind and became one of the motives which led me, and so many of us of the World War II generation, to want to go on afterwards to build a more civilized, humane and better world…. Years later, rummaging in Harvard’s Widener Library, I found the printed records of the Hadamar War Crimes Trial, which were subsequently held in Wiesbaden in October 1945. If I remember correctly, all were found guilty. Klein and two others we had arrested were hung. The chief nurse got away with 25 years. How long she actually served is unclear. I briefly revisited Hadamar with my wife Pat during a short leave from Embassy Paris in the 1970s, and stopped to look around. No memorial, plaque or other indication was in evidence to suggest that anything remarkable had ever happened there. Many Germans even then were clearly not yet ready to face their past. It was only in 1991, I gather, that a memorial was erected, almost a half century after the fact.